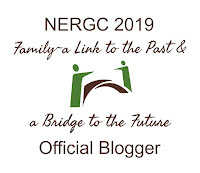 For this week's 52 Ancestors in 52 Weeks writing challenge from blogger Amy Crow Johnson of No Story Too Small, the theme is Sporting: Do you have a relative who was involved in sports? I have written about my dad before, at Sports Center Saturday ~ Dad and golf. 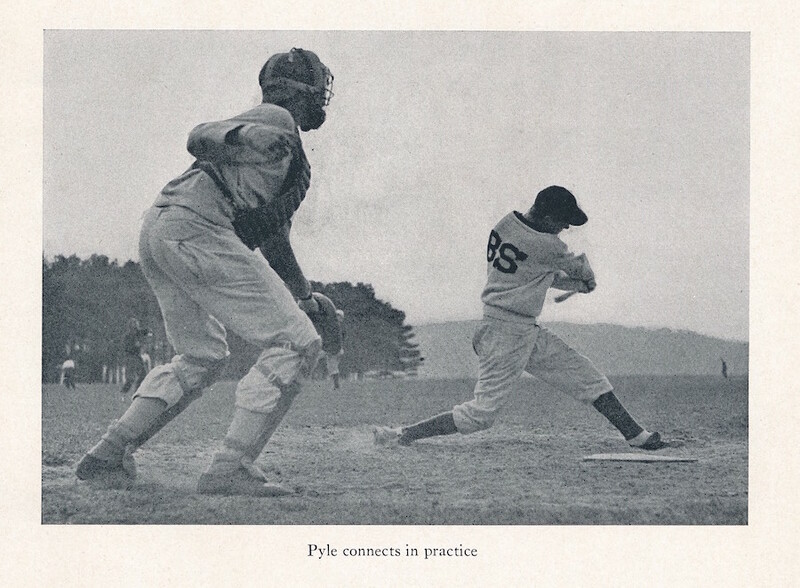 Dad was active in other sports, too. 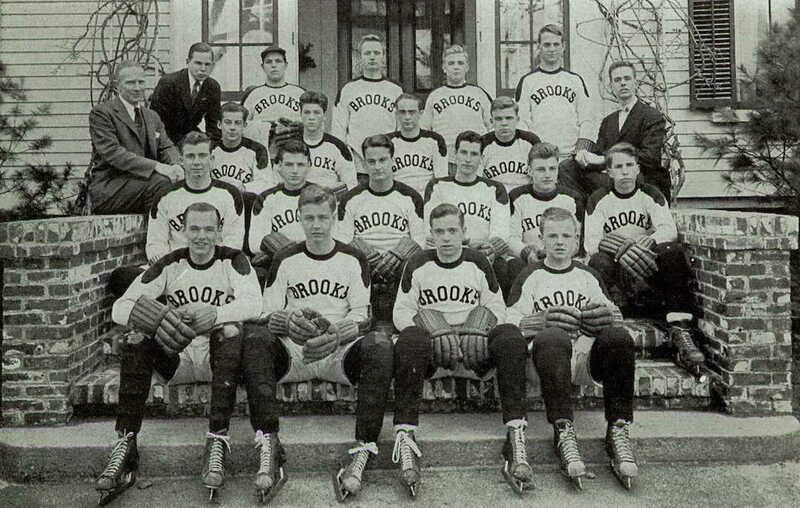 He loved ice skating and played hockey at Brooks School and for the year he attended Princeton University. (See Daily Princetonian Now Online for more about his activity there.) 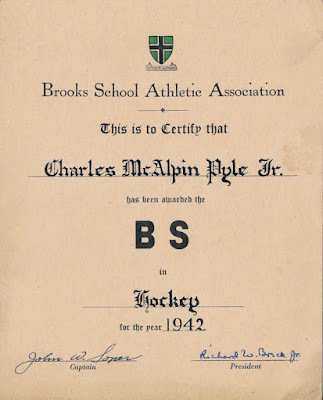 He also taught all of his children how to skate (though I haven't been on ice skates in probably thirty years; I did not inherit his athletic abilities). He even participated in father-son hockey games when he was in his late 50s and early 60s! 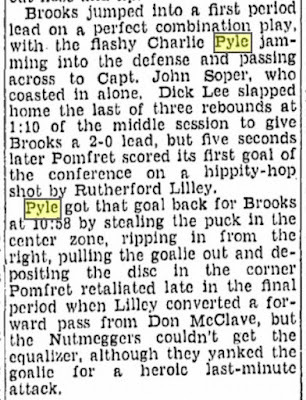 I love the description in the following article about a prep school hockey tournament, from his senior year at Brooks, describing him as "flashy Charlie Pyle." 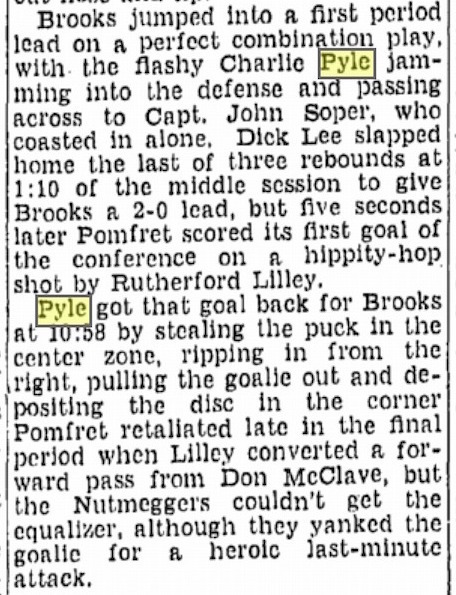 If I read this right, Brooks beat Pomfret 3-2, with Dad providing an assist and a goal. Brooks, Gov. Dummer Other Hockey Winners in Private School Tilts." Boston Herald, 3 January 1942, col. 6. 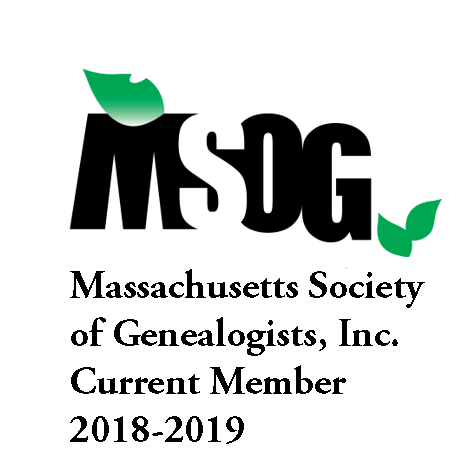 Online archives. 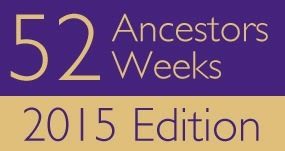 GenealogyBank. 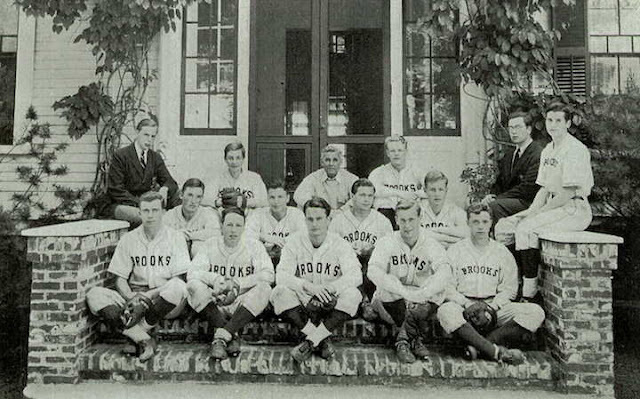 Ancestry.com has a U.S., School Yearbooks database which includes just a couple of years from Brooks School, one of which is 1942, Dad's senior year. 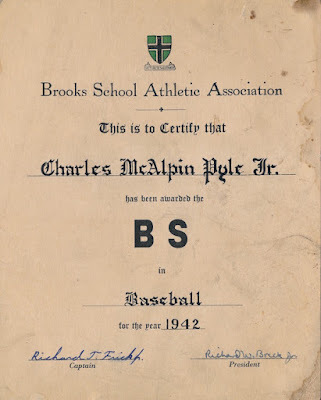 Following is his yearbook entry which shows that sports (Soccer, Hockey, and Baseball) were his extracurricular activities. 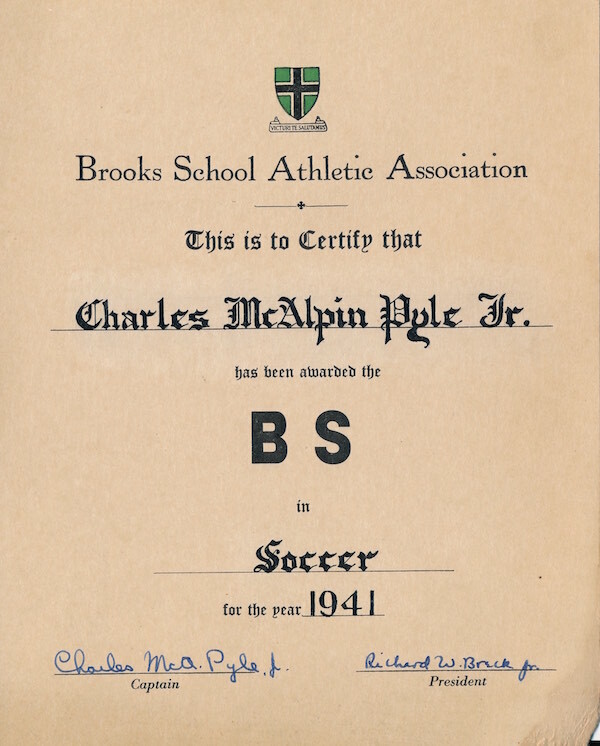 Brooks School Bishop, Graduation 1942 issue, page 18. 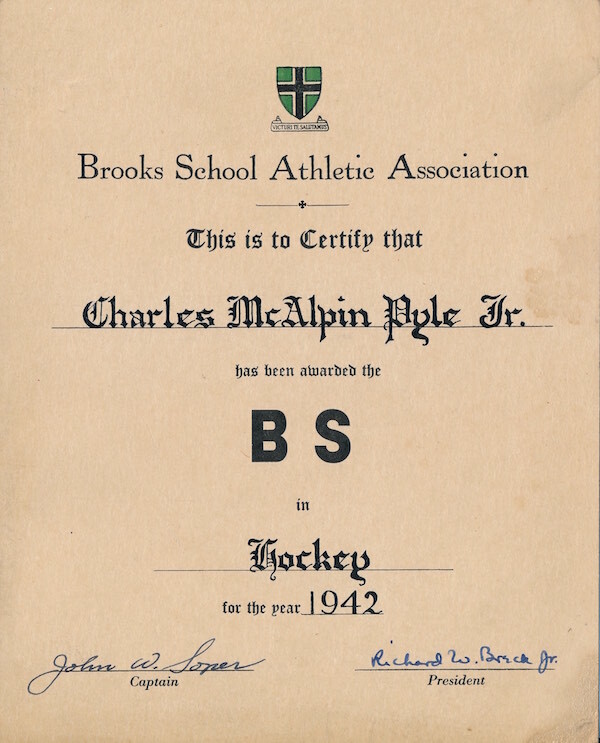 Brooks School Bishop, Graduation 1942 issue, page 23, Hockey Team. 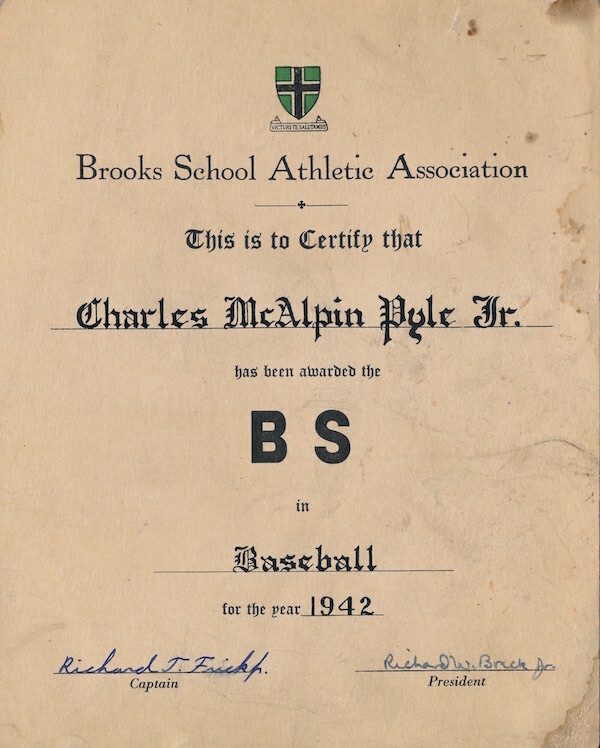 Brooks School Bishop, Graduation 1942 issue, page 23, Baseball Team. Brooks School Bishop, Spring Number 1942 issue, page 30. There are more newspaper clippings and photographs, some that are in my possession and some that I can find online. Thanks to my older brother, who gave these to me last year, I also have all his letters for the sports he played at Brooks. Below I show the letters he received his senior year. 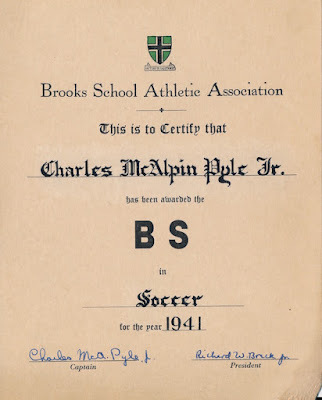 Note that as captain of the soccer team, he signed his own letter for that team. And so you don't think he was such a serious fellow, here is a photo of him coming off the baseball diamond. He is to the right of the man in the suit and hat with a big grin on his face. I wonder what he did that made him so happy here - did he hit a home run? 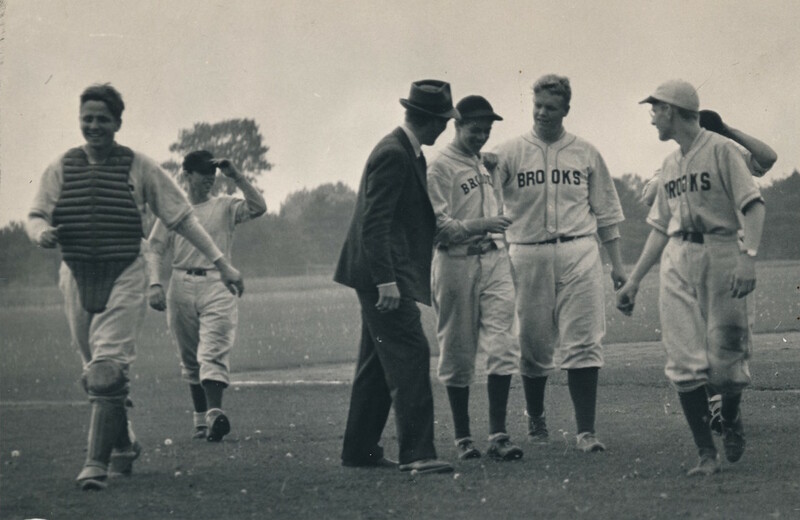 Or strike out the last batter to win a game for Brooks? He also loved watching college football (pro football not so much), and was in Cambridge at the Harvard-Yale football game the day I was born, returning to my mother in the hospital after the game (and before I was born).